Driven and determined, with your newly minted real estate license in hand, you’re finally ready to set the world on fire. Before you strike the match, however, make sure you have a firm grip on the reality of your new role as a business owner rather than an employee. Yes, your job now is to sell real estate, but standing between you and a successful career is your ability to sell yourself as the ideal partner to prospective clients. Despite having the energy, ambition and vision, even the best-intentioned agent can be his or her own worst enemy. In some cases, beginner real estate agent mistakes can jeopardize your professional credibility when clients come aboard. Whether you’re just starting out or have years of experience, you can benefit from knowing how to prevent common rookie real estate agent mistakes. The key to any endeavor is to identify your objectives, and in business — especially that of a self-employed real estate agent — knowing what you need to achieve is crucial to success. Set goals and make them SMART: specific, measurable, achievable, relevant, and time-based. You can’t know where to start or how to proceed if you don’t know where you’re going. Focus on your niche. You know what aspect of real estate intrigues you most, so draw a bead on it. Most doctors and lawyers don’t generalize and neither should beginner real estate agents. If you’re clear on what you want to be your specialty (first-time home buyers, investment property clients, empty nesters), then you need to figure out how to become an expert in it and set your goals accordingly. It may be a big duh to mention the need to track all expenses, but you would be surprised at how often it doesn’t happen. Coffee with a prospect here, smartphone data overage fees there… the next thing you know, this month’s budget has disappeared and you have little if anything left to show for it. Being able to account for every dime — yes, every single one of them — will highlight how well (or poorly) you are running your business, and what it will take to survive the first few months on your own. Your business plan should also include a strategy for self-improvement and training. Learning new skills is a differentiator. Build on what you were born with — or have since acquired — and fine-tune your experience and expertise to stay sharp, focused and ahead of the competition. While it’s important to build your contacts, resources and your business overall, you also need to learn to sell yourself as a real estate expert. This means defining your personal brand. This can, and should, take many forms. Social media is an ideal space to create your brand, engage with your audience, generate leads and ultimately grow your business. The more active you are on social media, the easier it is for buyers and sellers to find you. It’s also a great way to highlight your neighborhood expertise and unique listings. Attend networking events where you can build relationships and get much-needed face time. Make sure you nurture your contacts, perfect your elevator pitch, and find the events that fit your goals. Take time to determine the tone and words you will use to communicate who you are to your clients. But, communication is more than just words. How we present ourselves is important as well. Make sure you dress in a way that embodies your brand and your message. Think about the ideal real estate agent dress code. What the kinds of clients do you want to attract and what kinds of properties do you want to represent? Then, dress accordingly. Want more tips and strategies on building a personal brand? We’ve collected some here. Speaking of your budget, you also need to figure out how to finance it. You should establish and follow a financial plan for both professional and personal expenses; at this new stage in your career, everything counts toward promoting it. Jot down every current expense you have, such as gasoline and office supplies, and then note every new expense you add as you start selling real estate, including client entertainment, organizational dues, subscriptions, lead generation tools, marketing, etc. Before you even print new business cards, nail down your funding sources so you can survive (and pay the bills) while you build your business. You should anticipate no income for the first 60 to 90 days, so a three-month reserve — again for both personal and professional expenses — is ideal. Now is not the time to pooh-pooh marketing. Just the opposite: When you market yourself, you learn about the wants and needs of your target clients then figure out the most mutually satisfying way to meet them. Once you identify your niche, use your own sphere of influence and referrals to build a roster of targeted marketing tasks for maximum impact. Marketing, especially in your first year, doesn’t have to be complex or even expensive, but it does have to work. Creating a marketing plan can be as simple as revisiting your business objectives, identifying the marketing strategies to achieve those objectives, and then jotting down tactics that support those strategies. Along the way, your plan should include an analysis of the market you chose to specialize in, an overview of the competition you face, details of the services you provide, and ideas you have to promote yourself. To become the go-to person for clients seeking a long-term real estate partner, you must familiarize yourself with the listings in your niche as well as with the target buyers who can afford them, then market to them appropriately and effectively. Nothing packs more bang for the buck than intelligent and compelling targeted marketing. To support your marketing efforts, have prepared and practiced presentations that showcase your expertise and professionalism, despite your relatively recent entry to the playing field. Part of marketing yourself as the leading real estate agent for your niche is knowing everything about it. Your listing presentations should include statistics, market share, your professional history and credentials, and your marketing strategy for success. A client’s trust in you is bolstered by the confidence you radiate when you clearly know your stuff. Everyone wants to feel special in some way, and when you enter someone’s life at a time when they are considering using your services — or perhaps they already have signed the papers — you have a golden opportunity to make a significant, lasting connection with them. Your continued focus should be on making regular and meaningful contact with clients. Cultivate relationships today that will pay off tomorrow. Don’t make the rookie real estate agent mistake of ignoring past clients (even though there might not be many as you start out). There are several ways to reach out: Email and personal notes are the quickest and easiest. You can also stay in contact by taking clients to lunch, sending out a newsletter, or by throwing a client appreciation party. Keeping connected doesn’t have to be expensive, labor-intensive or time-consuming. 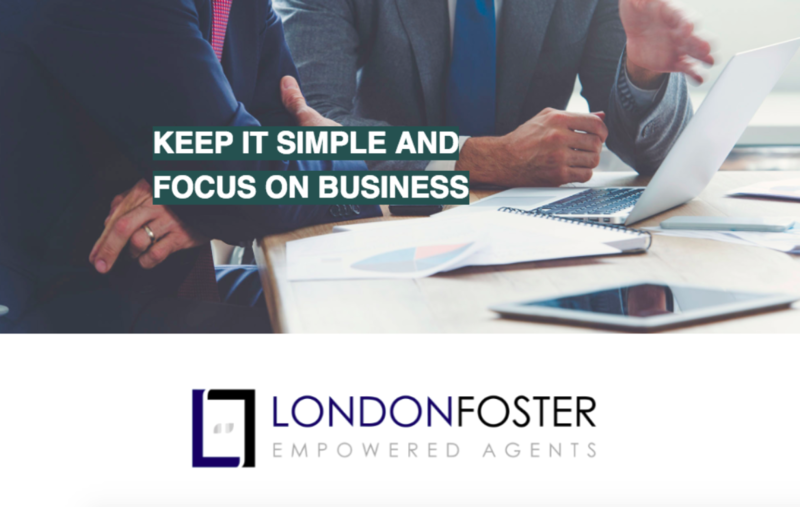 The point is to simply stay on your clients’ radar and create a mutually beneficial relationship. Let’s face it, the majority of us are too often guilty of allowing time to slip through our fingers. We run ourselves ragged, but at the end of the day, feel as though we accomplished little to nothing. Shift your thinking and make it a priority to organize your time. Your daily to-do list should include tasks such as prospecting, updating your database and marketing yourself. Always know what you should be working on. Like housekeeping, if you do a little every day, it all gets done. A smartphone with unlimited talk, text and video enables you to share information with anyone, anytime and from anywhere. A laptop or tablet is a powerful and portable way to quickly store and recall important data. There are a number of apps created specifically for real estate professionals, and available on multiple platforms, that provide everything from mortgage calculators and demographic data to measurement conversions, document storage and more. Those are in addition to even more general apps for mapping, note-taking and organizing contacts. Consider hiring an assistant to take on your non-sales-focused tasks. Increase your efficiency and you increase your transactions, which means you increase your income. Just when you think the coursework and exams are behind you, continuing education crops up as necessary to stay relevant and, in many states, mandatory to maintain your license. Maximize your time and minimize cost by using webinars, podcasts and other online resources to keep up with your education and skills. Don’t overlook social media as a quick and free (or nearly free) way to both inform and engage. Posting an Instagram photo or Facebook update only takes a few minutes; an insightful blog entry can be concise and still compelling, and as for tweets… well, as the Bard said, brevity is the soul of wit. Mobilize the best possible closing team, each member of whom can go beyond his or her role to bring about the most efficient and satisfactory end.